For woofer in 6-7 inches. 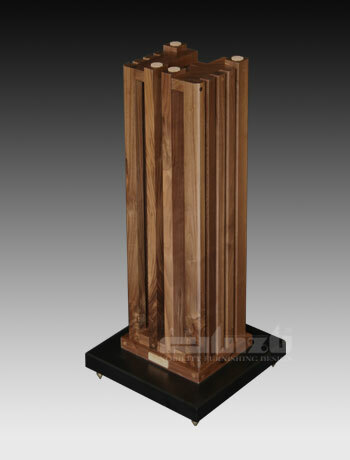 Materials of same length, size and shape may cause unnecessary and unpleasant accumulated mechanical resonance which could be avoided by using various sized and geometrically shaped walnut planks for the construction of speaker framework. The solid wood and iron base construction ensures stability.Built to be strong, elegant and affordable, this series raises the speakers to the correct listening height. It does not only provide a rigid and stable support, supporting up to 180 kg speakers, which eliminates the resonance from the ground, but also enhances the speaker's performance with excellent tonal balance, extended high and low frequency. 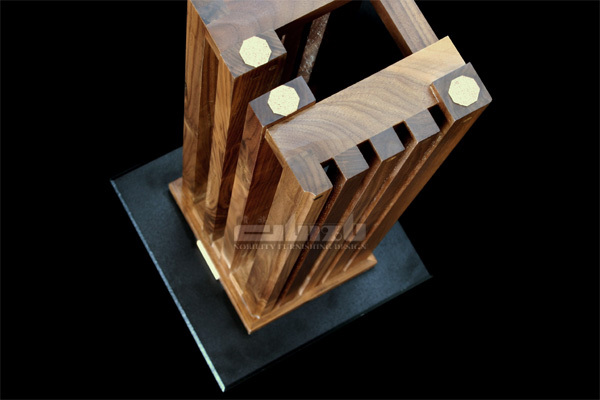 You'll find this stand helps your speaker break through its inborn limits, bringing sound effect beyond your expectation, hence, undoubtedly outperforming like products in the market.